The human race is about to be without a home, Earth having been turned into a toxic wasteland by decades of war and centuries of neglect. Now united and desperate to put down new roots, humanity sets off across the galaxy. But the galaxy isn't as hospitable as people would like. Ten years after the world was nearly decimated by a zombie virus, there is a desperate race for the antidote. A team of commandos are sent to a remote island populated by zombies to rescue a group of stranded scientists. The commandos come up against the hungry dead, Russian mercenaries, and shady government conspiracies. 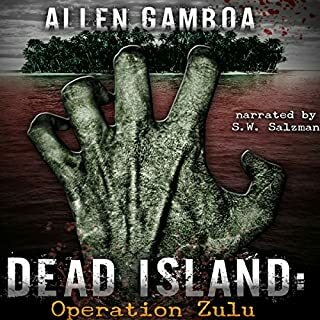 Dead Island: Operation Zulu is a fun, action packed, blood splattered, horror adventure. Aliens meets Dawn of the Dead. The planet Mars has become an epic battleground where mighty armies clash in a seemingly endless struggle. Pride, politics, and greed have ignited the spark of war, drawing a vast web of alliances into a bitter conflict. Artillery fire and dropships fill the skies while combat marines endure the savage grind of futuristic trench warfare. The propaganda media machine has painted the conflict as one in which fortune and glory await the daring. Young men everywhere flock to the various banners, unprepared for the grim reality of war on the distant planet. 1. "Left": A story of a girl who struggles to identify with her twin brother who was born with a demonizing birth defect in a dystopian world that values genetic perfection. 2. "Strange": A bumbling scientist accidentally releases a strange material with potentially apocalyptic repercussions. 3. "Walk": After the recently departed suddenly reanimate, one undead follows his single, driving desire: to walk. 4. "Hunter's Hell": When Richard Hunter has a terrible car wreck on his way home after a devastating divorce, he finds himself in a hellish recreation of his home town filled with terrible, demonic creatures. 5. "Touch": A fantasy story that served to inspire Andrew T. Jayroe's upcoming novel series The Lords of Anthair in which a reluctant assassin is sent to use his terrible power to murder an innocent child who is destined to throw down the gods. 6. "Lorekeeper": When a young girl in trouble comes to Nyle Reed begging to be taken to a planet in the middle of nowhere, he finds himself in a battle against forces of biblical proportions. A collection of stories that will take you to many different areas of the genres, some familiar some new. They are told with great skill by both author and narrator. The stories take some views that are new and they were all very entertaining. Highly recommend. I was voluntarily provided this free review copy audiobook by the author, narrator, or publisher. These were some new original and intriguing stories. I will definitely look for more by this author. My favorite was the last one. Love the idea of that story. Can't give it away so I'll just leave it at that. It was really good! The narrator was incredible. Like other reviewers, I agree half of the stories were engaging and intriguing, leaving the listener hungry for more. Two seemed to stop abruptly. One was blah. Persephone Rose did well; not allowing one to pre-judge if the tale was gonna be good and fulfilling or drowning in disappointment. I would definitely listen to more by this narrator and I would be hesitant to pick up another book by this author. Andrew Jayroe has a very vivid imagination. These short stories delve into a little bit of religion, science fiction and possible future scenarios. These stories are graphic and intense. I think my favorite was the one about the future society where abnormalities in children were shunned and not allowed to live. This resulted in some major upheaval in one family with tragic consequences. The reason I liked this story so much is because it not only points to a possible future, but also hearkens back to our past (think Nazi doctrine). I feel Andrew did a great job with such few words. The narration was superb. Right on target with pace, emotional inflection, tone, etc. Really enjoyed listening to these stories. Really enjoyed some of the stories. I listened to the whole book, but I noticed that during some of the stories I was really bored. But the others made me wish they were longer, or even the whole book by themselves. The narration is superb, the narrator certainly knows what he's doing. An Excellent Short Story Collection. Many times when I read a short story collection, I love one or two of the stories while the remaining ones I find to be average at best. Not so with “Amid Six Worlds.” Every one of the stories in this collection is strong. Although I liked all of the stories, my favorites were “Left,” “Strange” and “Lorekeeper.” I wasn’t familiar with the author, Andrew T. Jayroe’s work before I picked up “Amid Six Worlds,” but now I think I’ll look out for more from this author. 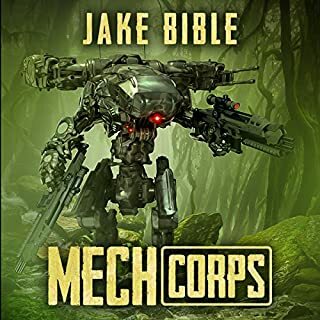 Finally, this audio book was provided by the narrator at no cost in exchange for an honest review, courtesy of Audio Book Boom. 6 SciFi worlds in 1 how can that be beat? It CANT! 1. &quot;Left&quot;: A story of a girl who struggles to identify with her twin brother who was born with a demonizing birth defect in a dystopian world that values genetic perfection. 2. &quot;Strange&quot;: A bumbling scientist accidentally releases a strange material with potentially apocalyptic repercussions. 3. &quot;Walk&quot;: After the recently departed suddenly reanimate, one undead follows his single, driving desire: to walk. 4. &quot;Hunter's Hell&quot;: When Richard Hunter has a terrible car wreck on his way home after a devastating divorce, he finds himself in a hellish recreation of his home town filled with terrible, demonic creatures. 5. &quot;Touch&quot;: A fantasy story that served to inspire Andrew T. Jayroe's upcoming novel series The Lords of Anthair in which a reluctant assassin is sent to use his terrible power to murder an innocent child who is destined to throw down the gods. 6. &quot;Lorekeeper&quot;: When a young girl in trouble comes to Nyle Reed begging to be taken to a planet in the middle of nowhere, he finds himself in a battle against forces of biblical proportions. Have you ever read an anthology or collection of short stories and wanted more? Most times, these are from different authors with different themes. Andres T. Jayroe's Amid Six Worlds is a mix of science fiction and yes, it is based on six very different worlds. However, there is a unified theme throughout all six stories. Grief and the desire to aspire to be better! From the very first story, &quot;Left&quot; to the last with &quot;Lorekeeper&quot;, you know you will be in for a &quot;hold onto your sit, nothing held back&quot; ride. Persephone Rose brings life to Jayroe's worlds. Whether it be making each character unique with accents or giving raw emotion, Persephone Rose does an amazing clear job of narrating. Whether you are crying but cheering the main character in &quot;Left&quot;, becoming more scientific with &quot;Strange&quot;, revisiting undead themes with &quot;Walk&quot;, going on an afterlife journey in &quot;Hunter's Hell&quot;, learning true restraint in &quot;Touch&quot; or knowing true longing and sacrifice with &quot;Lorekeeper&quot;, the combination of Jayroe's words and Rose's voice make Amid Six Worlds one of the best short story collections I have listened to in years. These stories bring me back to other titles I have feel in love with over the years. Such titles as Dark Matter, Warm Bodies, and Ender's Game to name just three. Each story stands alone and as the descriptions have stated, &quot;Touch&quot; continues to inspire the author, but all six stories fold beautiful into each other. 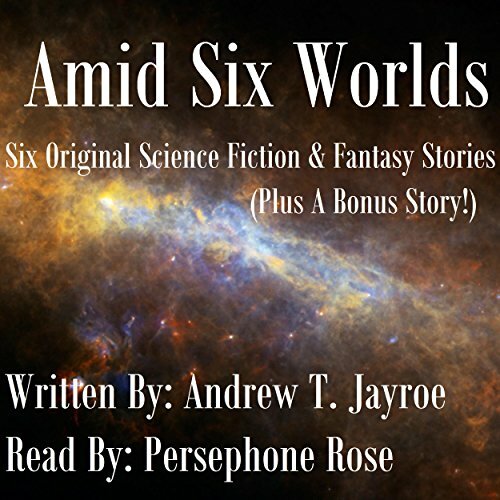 If you are looking to quickly feed your science fiction and fantasy addiction, add Amid Six Worlds to your audio book/library collection! Like other reviewers here, I found the ideas for some of the stories to be very interesting. So interesting, that I wished the author had expanded them with backstories and more comprehensive plot/character development. My two favourite stories were "Left" and "Hunter's Hell", while the others didn't leave much of a lingering impression on me. I would have enjoyed "Strange" more, if the main character had been more likeable. I thought that the narrator did a good job with descriptive passages but I was less enchanted with the various voices of characters (especially female voices). 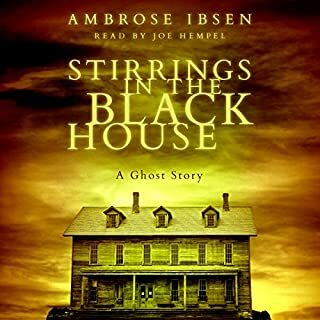 It's a bit disappointing because when I get carried away with the story, the grating character voices knock me out of my listening groove and I become less focused in the story itself. Good and bad - 50:50. Borrowed elements. The book is a collection of six main stories. So, I could listen to one story and stop for the day, starting the next story on the next day. That way, I wasn't left wanting to read more everyday, which is the typical case with long single story novels. In other words, this book is good for day-by-day consumption. Not the individual endings of the different stories per se; but some of the stories sounded like they had elements "borrowed" from popular movies / shows. While listening to the story, I kept thinking "hey.. this is how it happens on that movie" (won't spoil the book). That somewhat tarnished the book's originality. All in all, I like 2 of the stories. The others were kinda meh for me. I voluntarily received this copy for free from the author / narrator / publisher and am leaving an unbiased review. 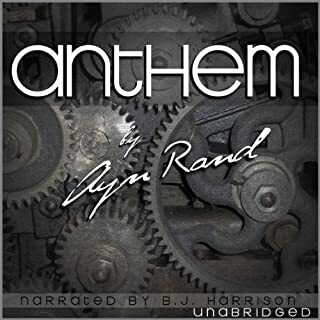 This was a collection of six short stories written by Andrew T. Jayroe, and narrated by Persephone Rose. Rose was a brilliant narrator for this book, she was very clear but she also gave quite an atmospheric air to the book. She was really good. The stories themselves were quite interesting, and I wish that they’d all been slightly longer. I didn’t want them to end. I think my favourites were Left, which was about two siblings, one of whom had a birth defect, and Strange, which was about a scientist almost ending the world. "The strange matter is on the loose." What a box of delights: six stories ranging in length from 14 to 40 minutes with final adventure lasting for approximately an hour and a quarter - just perfect to tuck into those odd moments when time is short but the.desire for a story, well narrated, takes hold. 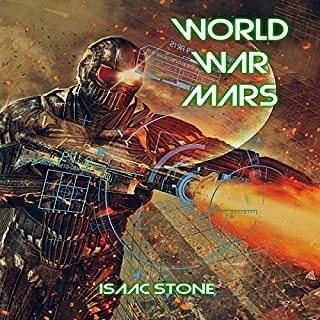 The content of each varies considerably, from a storm which brings more than just weather, to a zombie's perspective, a man blighted by his touch, through a sad tale of twins and a race against demons, a real weapon of mass destruction and a space adventure. As in all compendiums some are better than others, but each is well written, engaging and worth the listen. The stories are made extra pleasurable by the readings. Persephone Rose has a most pleasant voice and he uses it well to give emphasis, add fear, solicit empathy and emotion. Each narration is clear, perfectly paced, complementing the text, making every story one told personally to the listener. I was fortunate in that I was, at my request, freely gifted a copy of Andrew Jayroe's stories by the rights holder, via Audiobook Boom. Thank you. I was previously unaware of this author but will certainly look out for more by him in the future. The combination of writer and narrator is excellent and there is a little something for everyone who enjoys science fiction and fantasy, or even just a touch of horror.